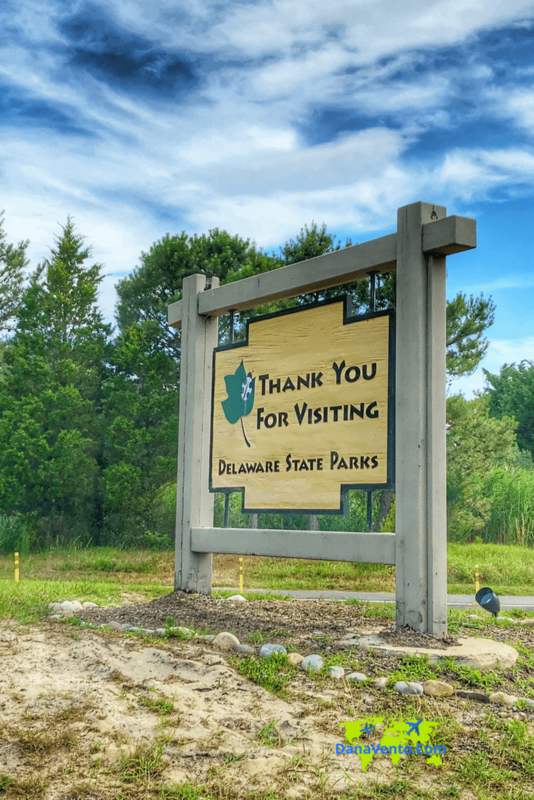 Southern Delaware definitely is spoiled by 5,193 pristine acres a state park. 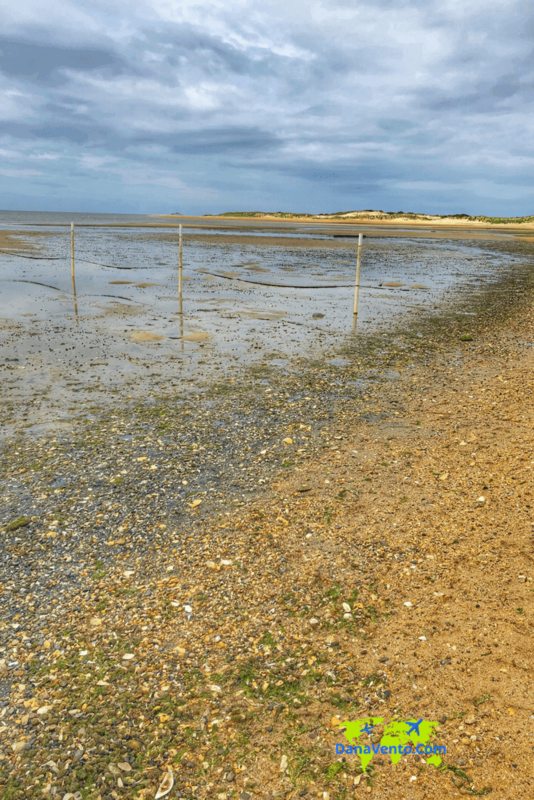 Cape Henlopen State Park is rich in scenic landscape and waterside views. When in Southern Delaware there is no lack of beach choices. However, I believe that Cape Henlopen State Park is a hidden treasure for beaches and families. 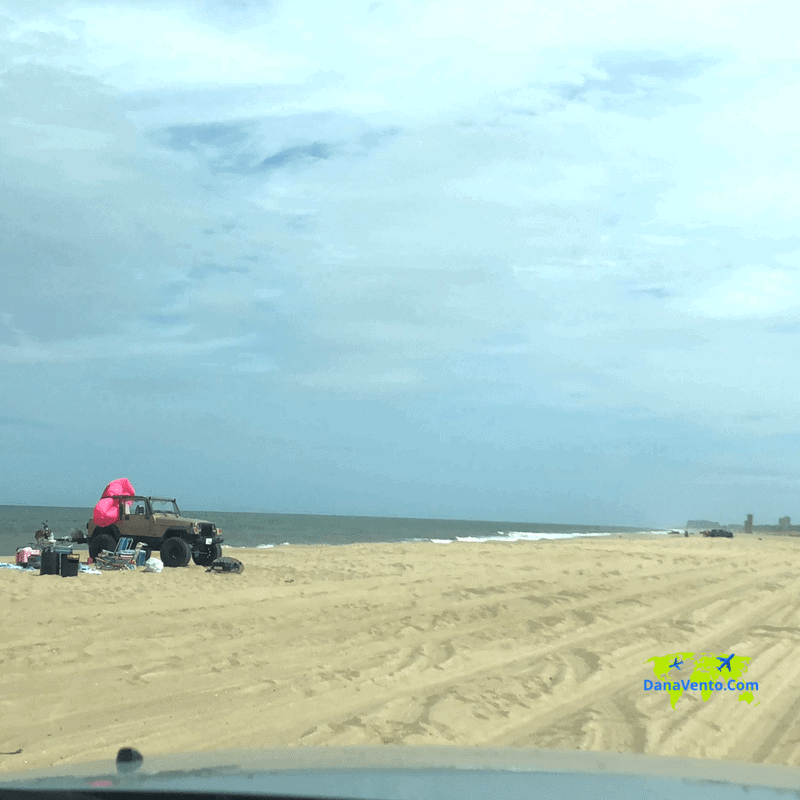 From white sandy beaches to a and a minimal entrance fee that never requires you to walk back to your car to fill the meter are just a few of the reasons Cape Henlopen State Park is a hidden gem. 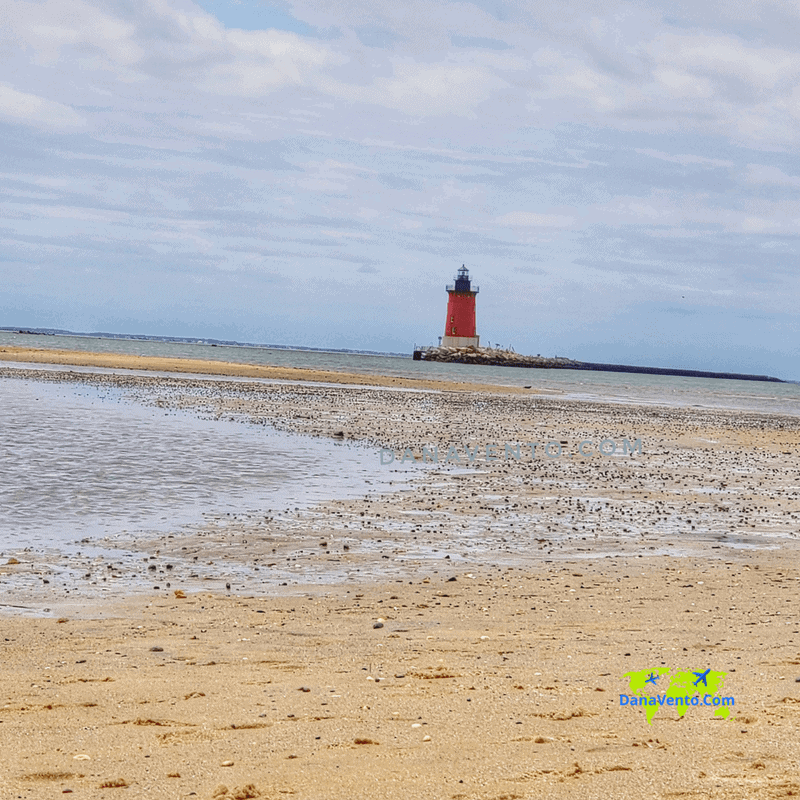 Cape Henlopen State Park is a playground for families, a beach visit, and somewhere that is secluded from the hustle and bustle of the other beaches in the area in over 5000 acres. 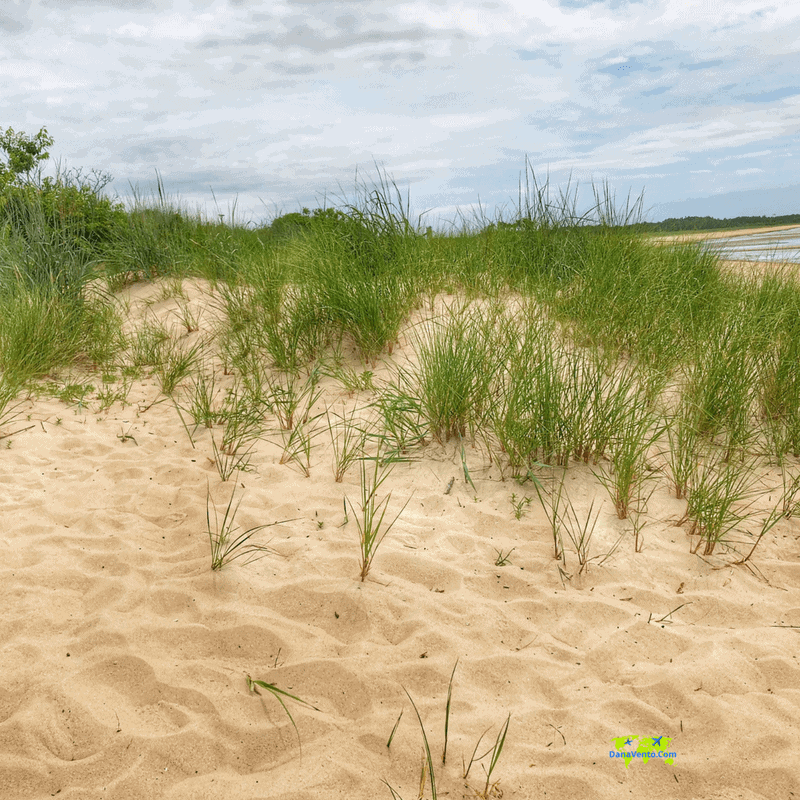 Your true Southern Delaware beach experience is not simply at Bethany, Dewey or Rehoboth, rather right here inside of Cape Henlopen State Park. Lavishly live travel out loud and learn the 10 things to know about Cape Henlopen State Park before you go. 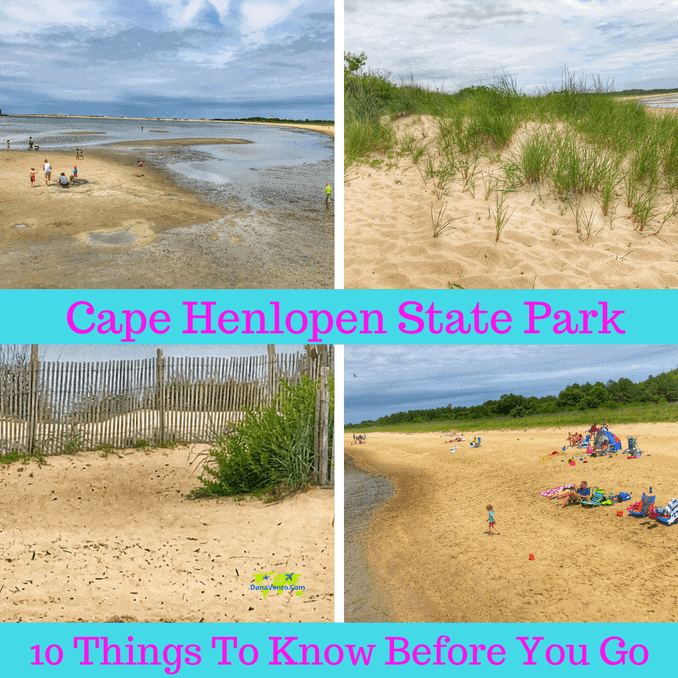 Truly Cape Henlopen State Park is a hidden treasure for everyone visiting the area. Really A State Park Visit? Before I begin my story, please know that I visited Cape Henlopen State Park and spent my time with my 3 teens and Park Superintendent Grant. I asked dozens of questions as did the teens and got answers. My discussion is based on what we learned and experienced as we spent time here! If you are new to my site, you know I am not a State Park kind of girl. Yes, we have traveled to a few with our kids, actually locally and each time ended up with medical issues from infections, pink eye, (all due to filthy water) to not being able to swim in the water because of ‘floating feces’. Oh yes, really this all has happened, so I am not a State Park type of girl. I mean how does the saying go? “Once jaded…. 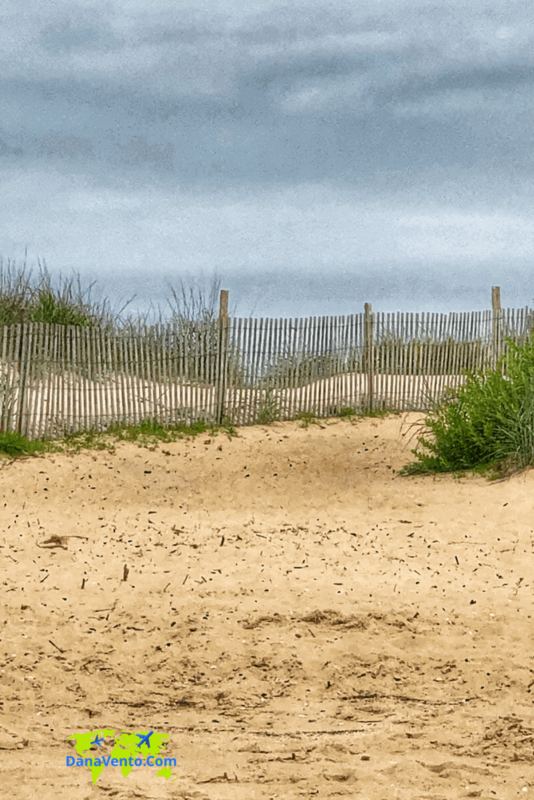 there is no going back!” So you might imagine when I saw the words on my travel itinerary a ‘visit to Cape Henlopen State Park’ a few eyeballs might have been rolling on my end. However, jaded or not, I want to experience everything I can while I am in an area. Therefore, since I am was in Southern Delaware, my job was to uncover as much insider’s scoop as I can in order to share it with you. Perhaps Cape Henlopen State Park was the treasure chest I found in the area without even realizing it until I walked away. My regret is that I did not discover the park from Day 1 and the sentiment was echoed by all three teens with me. Read on and learn why, because families need to flock to these acres of pristine bliss and enjoy their vacation. 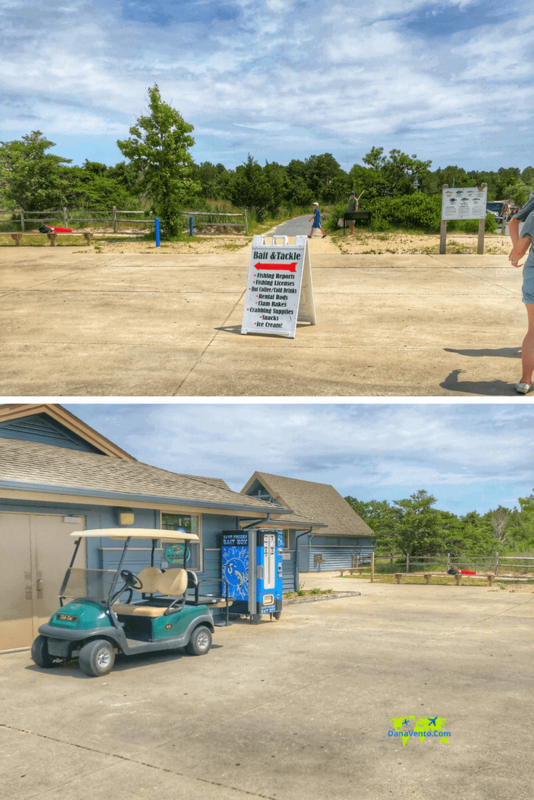 Cape Henlopen State Park – What To Do Here? 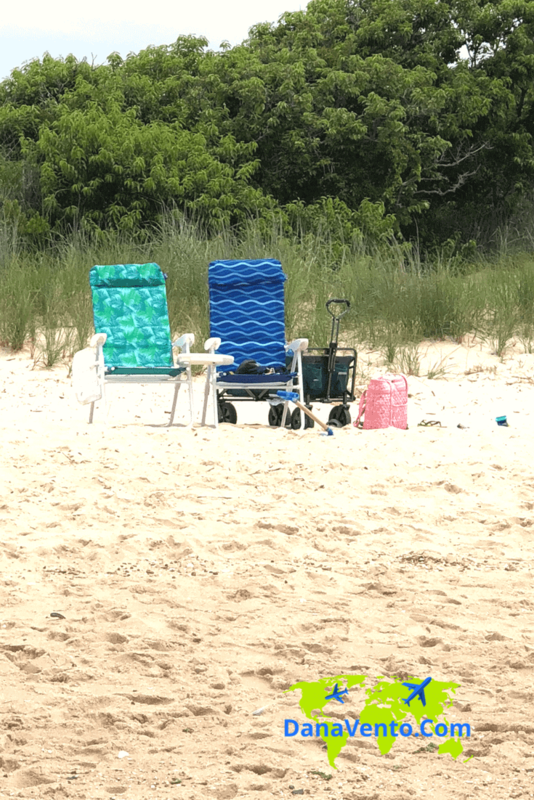 Your big question to me right about now is: “what can we do at Cape Henlopen State Park?” Of course, my answer will be a loaded one but here’s an overview of what I will discuss a bit more in-depth so you know everything you need to know. Do bring bug spray, you are in a protected environment, and mosquitoes lurk as do flies, etc. Be prepared as you would be with any trip to a park. You can use my beach packing list to help pack up! Additionally, phone connections in some part of the parks are sketchy at best, so you may not have service (learned this while on the premises). Hiking, biking, sunbathing on the bayside or the ocean side are a few fun things to do. Additionally, there is disc golf, camping, a nature center, a tackle, and bait center so of course fishing too. You can gain access to Rehoboth Beach as well. Now allow me to give you the more in-depth answers because there is just so much more to each answer! Ready? To enter the park you can expect to pay a nominal fee. In-state pays $5 and out of state pays $10. Here is where this gets interesting. The parking meters at the local beach for public parking do not hold more than 2 hours of time. Therefore, you pay the meter and you will need to be back and be punctual about paying it again. 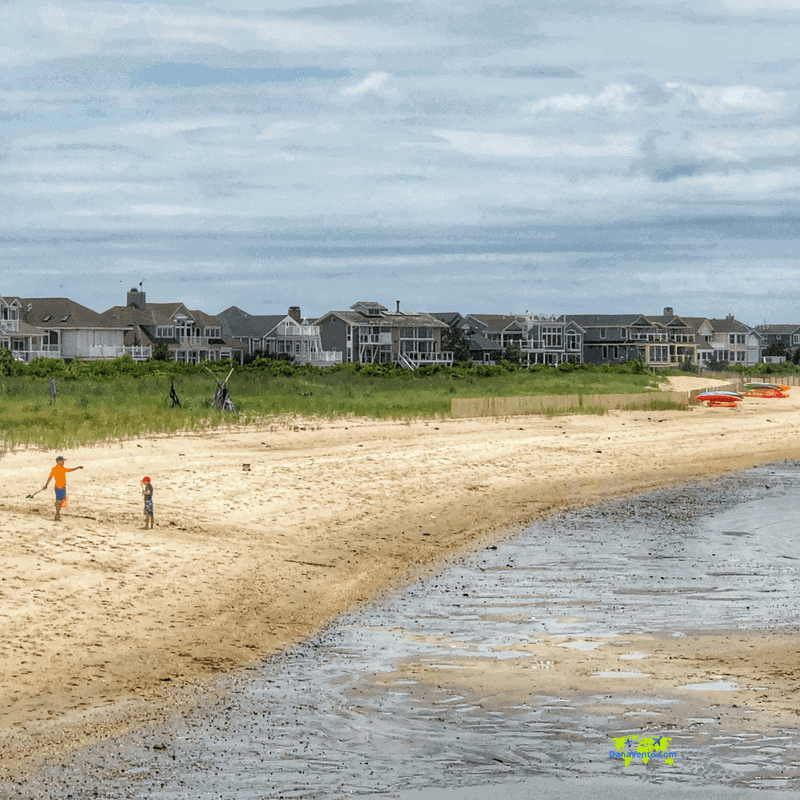 While I would never downplay the beauty and fun located at these beaches (Rehoboth, Dewey, Bethany) I am describing a scenario that takes away from beach time. I personally prefer to pay to play (so to speak) one time and get on with my day. Don’t you? The fees are established for park maintenance, that is it, and after you see the park, you will want to keep it maintained and beautiful! Enough Said! Another point to be made, and it is true for each of the other beaches as well: Weekends can get very very busy and the state park. It is suggested to ‘test it out’ during the week, and if you love it, then come back, just get there early. Additionally, allow me to provide a few more tips about where to go in the state park for water fun! So before I even start this story, I have to take a minute and tell you this photo was on my Instagram feed and it won the #SoDelSummer contest! I took it in the dunes of the bay. The area is so beautiful you can not help but take photos. The Bay offers very long walk out areas so much sandbar, no waves, in a little bit warmer than the water on the ocean side that was averaging about 67° F while we were there. The more shallow water is heated by the sun a bit more rapid! From the bayside, you can stroll out a nice distance and still never be beyond 5 feet in-depth in the water. Definitely a choice for families with smaller children and those that want to be on a beach with prime swimming areas. The Bayside was very clean and very family. You can set up your coolers, and your umbrellas and chairs and just kick back and relax. There are little tide pools that the children play in and you can make sand castles without worry of them being washed away. Parking in this area for the bayside experience keeps you close to the bay, without having to lug your stuff too far. Woot! There are sand dunes and grass as far as the eye can see. Do respect the property, as it is protected wildlife area. I just really have to show you the area up close. Take a look, there is a nice shoreline, and plenty of space to sprawl out. This is a weekday and it is hardly populated in fact this at 1:30 in the afternoon. Now when you go to the other public beaches they are jammed. I found this to be serene and quiet. Isn’t it nice? I do love Bethany, Rehoboth and Dewey but this was so quiet and calm, truly just a very different aspect of the Southern Delaware beach areas. My largest gripe with Rehoboth, Dewey, and Bethany beaches was a simple fact there were no changing facilities. Not everyone comes to the area from a very close hotel or home rental. Additionally, if you go those spots, parking can be very difficult, so you might be toting your stuff a long way. As a mom, I loved the fact that there was a changing facility as well as showers right as you get off the bay! While you may crave the foods of the boardwalk, here you will find some fun foods at the snack shop like chicken fingers, fries, etc. Additionally, you can bring your own coolers to the beach, just no alcohol is allowed. I told you I felt like I could walk to the lighthouse, I was not kidding. Doesn’t it look like you could totally wade right to the lighthouse from this angle? Of course, I know it is not possible but seeing the lighthouse from this direction was pretty darn cool. Additionally, it does give you an idea of how far you can go in the bay and enjoy the water at ankle deep levels does it not? We were so lucky with the weather too, it was not too sunny, it was just right as the sun peaked in and out of the clouds. There are a few other notable items via bayside that you will want to check out. We did. Such as in the distance you will be able to see the East End Lighthouse. Here you get a very different vantage point it looks as if you could walk out to the lighthouse, even though that is simply not possible. Earlier in the day, we took the East End Lighthouse Tour so this was a perfect way to come full circle on views of the lighthouse. Perhaps a few of you want to fish and a few of you want the beach. You can do it all here. There’s a bait and tackle shop and you have 2 options for fishing. You can fish off a pier or you can surf fish right on the beach. All require licenses that can be purchased online (keeps things simple right?). You will find a 1/4 mile long pier that gives you plenty of access to the Delaware Bay. As for surf fishing, you can take your vehicle onto the beach, and your pet as well but you have to be actively engaged in your sport in order to stay there. Yes, the beaches are monitored by the Park Rangers who enforce the rules! This photo is beachside surf fishing and vehicles on the beach. The beachside is quite exciting as you will find waves, people fishing, and even vehicles on the beach and dogs. Dogs do have to be maintained on leashes and not further than 6′ Foot leashes. Rehoboth beach is only 3 miles away! In case you are curious the top speed when riding on the beach is 15 miles per hour or a park ranger can cite you and tickets you and yes it does happen. Your vehicle will appear on the beach if you are surf fishing and have the license for such, otherwise no vehicles on the beach. There is plenty of parking and it is not a long haul from the parking lot down to the beach. Again you will find facilities for changing as well as using the bathroom. You can bring coolers onto the beach but do make sure you clean up after yourself or you will receive a fine. Also, no alcohol permitted. There are lifeguards on duty. Simply stated: there is a lot of area on the beach for you to spread out and enjoy. 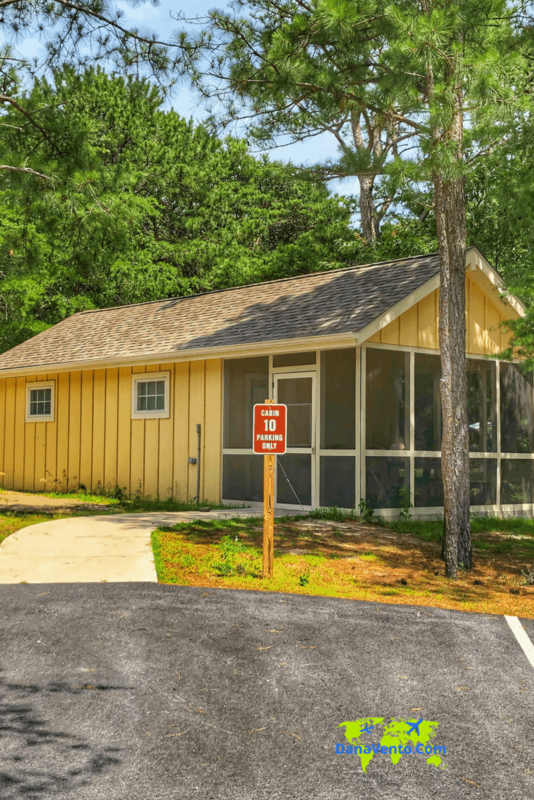 As part of a green initiative, Cape Henlopen State Park offers free bicycle rentals for up to 2 hours. There are many of them. The bikes have been donated, repaired, and are in high demand. After all where else can you get a bike rental for free? There are plenty of trails in the park and if you choose to go down to the Rehoboth Beach boardwalk it is a simple 3 mile down venture. The trails include paved, earthen, crushed stone and shell. Pick your pleasure and go! So this is as close as you can be to a stingray and you can pet it too. Well, I will say I passed on this opportunity, however, my son pet it. He said it feels like velvet. I will just go ahead and take his word for it. I think it is funny to see their underbelly. The nature center is right next to the bike shop. You can enjoy petting a stingray, or getting up close and personal with a horseshoe crab. We learned more than we ever wanted to know about a horseshoe crab from superintendent Grant. To be honest this thing totally creeped me out but once you learn about it is not so scary. We have seen horseshoe crabs when visiting the Outer Banks and never knew much about them now I know a whole lot about the animal and respect them. Truly a learning experience we have never had, not even at a zoo and we have been to many zoos. The attraction is free, though someone may not always be there to give the description we got. 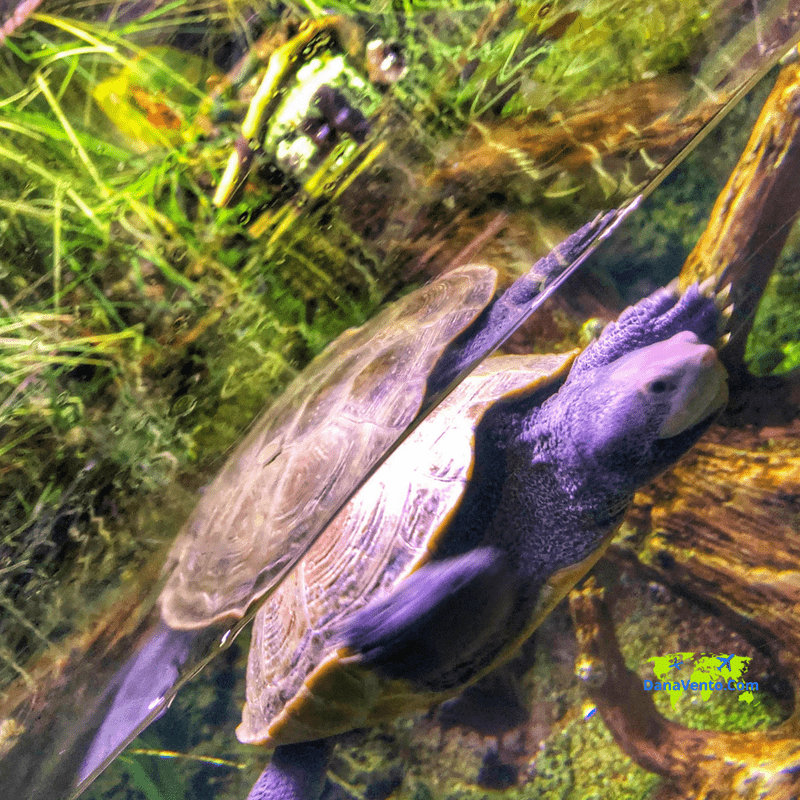 Great, if you like turtles because they swim right up to the glass to see you. This one seemed like it was striking a pose, so yes I snapped its photo. Cute right? Additionally, as you move through the center, you will find 5- 1000 gallons tanks that are local to the state park, and some turtles. There is a snake exhibit, which we did not tour (thank goodness) as well as a LIVE Osprey Cam. 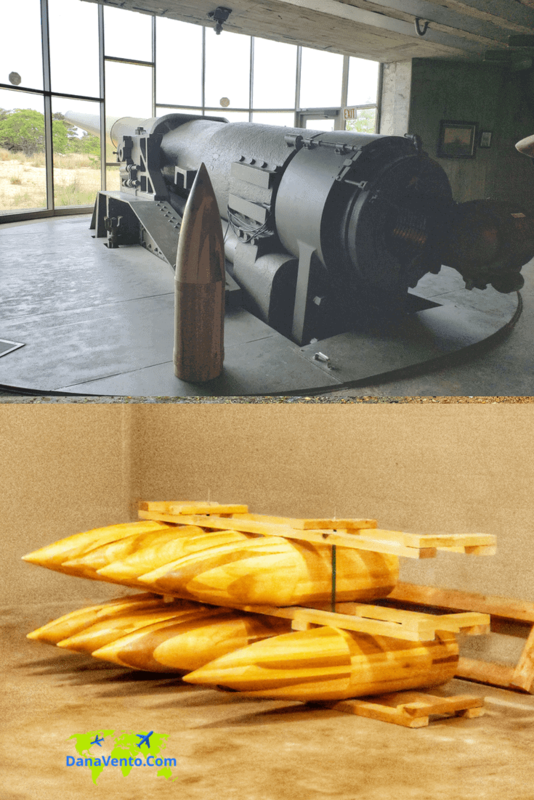 The WWII area, coupled with the artillery is something you do not want to miss. Artillery there is not the original artillery and you do need to know this. The bunkers in the sand made for great defense and sighting enemies coming from them at the ocean. What has been created here is a mock-up of where and how they would defend the area. 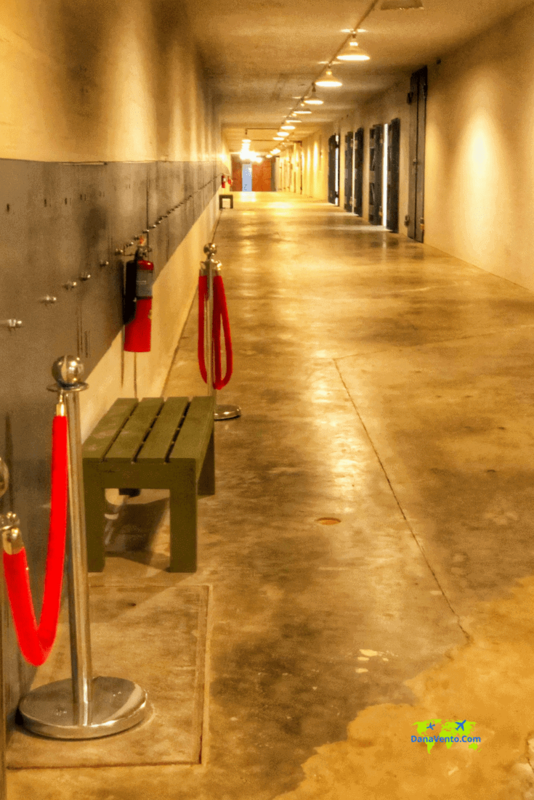 When you get inside you will be astounded to find and all concrete compound that is actually the size of 2 football fields long when you are standing in the one hallway. I was nothing short astounded. The exhibits here are fun to browse and of course filled with information. As the state gets more money to fund this, it will be officially opened as a non-guided tour of the museum. During one part of the tour, our guide h 1 of the guides Tyler we learned how they planned for battle and firing the artillery. In addition, we gained an appreciation for how heavy the missiles were that were launched and how they had to be handled. At the end where MJ travels not to fire the artillery ready set fire take a look. Of course, I had to have a little fun here too. I found these signs on the wall. Actually, they were descriptive signs for the contents that would have been found in the rooms if it were an active base. For me, it was a stop and smell the roses kind of a moment or maybe just a few Dana Descriptors, lol! Camping grounds here are clean. There are electrical and water hookups too! If you prefer a cabin, they are available to rent and have air conditioning in them. Pets are allowed on the camping grounds but strictly enforced rules of a 6-foot separation on leashes and no further are enforced. Remember bug spray and leashes for pets. I even saw a camper that had chickens in cages with them (true story). All in all, there is so much to do with the state park that 1 day will not be enough. 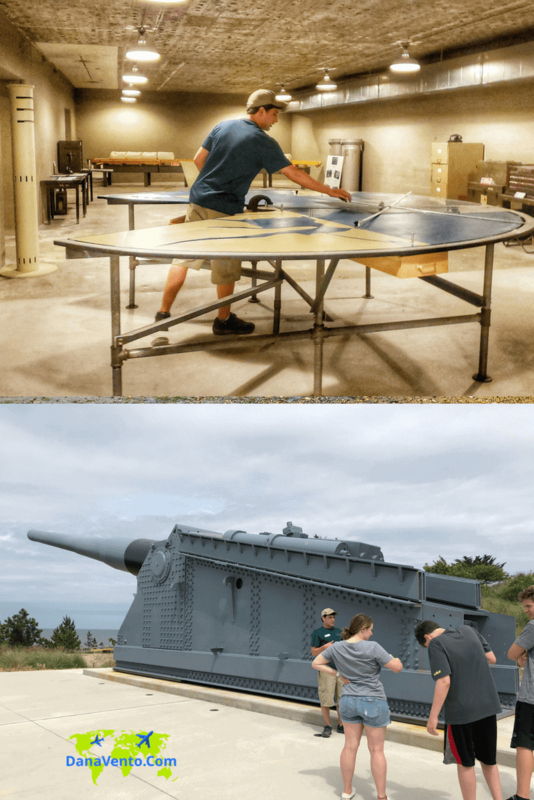 Plan on spending a few days and try out both the Bayside and the ocean side with waves, a little bit of the history and the military, as well as bicycling. A nominal parking fee and a world of nature ahead. History, fun in the sun, and the lovely beaches of Southern Delaware are waiting for you! Loving all of your pictures. It’s so good to learn about new areas we haven’t been to yet. We are huge beach lovers. Thank you for reading. The park lends itself to photography! Truly there is so much to do, one day is not enough! That looks like a fun state park to visit. I love the relaxed vibe, perfect way to spend a summer weekend there. There is so much to do in the state park! I have always been a sucker for dunes (maybe too many Nicholas Sparks movies?) There is a park down the street from my house that I keep meaning to visit. Maybe I need to get this on my calendar for next weekend. Thank you for sharing! Truly an experience and Sand Dunes are just cool to stare at! Enjoy your park! Wow! This place really has it all! I would love to sit on the beach with a good book in hand and relax! Thanks for your tips! What a beautiful place! I love staying in and visiting state parks! They are always so beautifully preserved and often have way more fun resources than other campgrounds! This seems like a great family vacation spot! We are always looking for new places to take the kids. I had never heard of this part. It looks lovely and that beach is beautiful! must be perfect for a day out! It’s my first time hear about Cape Henlopen State Park. Wow! There’s so many activities that you can do here. Reminds me of one of the islands we visited here in the Phil. This state park looks so fun! If I ever visit this area I definitely want to stop by! This definitely looks like the type of place my family would love to visit. I’ll have to check it out if we’re ever in the area. It looks like a nice place to visit, the view feel so relaxing and the amenities looks so beautiful. I am sure kids will definitely enjoy that place. The beach looks like something out of a movie. I love going to beaches but we just don’t get the oppurtninuity much. Truly it is a beautiful beach. Oh my goodness what an amazing looking state park! I have to say I would love to get to go and visit myself as it seems like there is so much to do and see there! It isn’t one I had heard of before either so thank you for the introduction. Yes, I loved this park, nothing like we have seen before, and it was amazing. I hope you get to experience it as well. That looks like a beautiful spot with lots of activities! I’ve never been to Delaware, but I’d love to visit! It is a great state park, and I had no idea parks were like this. so different from any we have visited. This is such a gorgeous state park! I’d love to go one day. My husband would like to see the artillery. Wow what an amazing place wish we lived closer to visit. Thank you for sharing. This looks like a fun time. We have family in Philadelphia where we visit often, so this might be a nice place to visit with the family for the summer. Anyplace with a beach gets my vote for a trip. We only have small lakes here and you have to go camping to enjoy them as they are far from hotels and other places. NICE park. Every time I see one of those wooden fences at a beach, I think of the movie Jaws. LOL. Nice, clean and love the houses in the background. Looks like a great place for the whole family to enjoy.